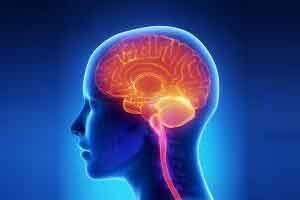 New York : Just as persistent negative thinking is a common trait that characterises most emotional disorders, researchers have found that underlying brain abnormalities in such disorders also have a lot to share. “This study provides important insights into mechanisms shared across multiple emotional disorders, and could provide us with bio markers that can be used to more rapidly diagnose these disorders,” said study senior author Scott Langenecker, Associate Professor at the University of Illinois at Chicago in the US. Those disorders, he said, can sometimes take many years to be diagnosed accurately. The most common difference in white matter structure that Langenecker’s group found present in every emotional disorder they looked at was disruption in a region of the brain that connects different parts of the “default mode network”, which is responsible for passive thoughts not focused on a particular task. That area is the left superior longitudinal fasciculus or SLF, which also connects the default-mode network and the cognitive control network, which is important in task-based thinking and planning and tends to work in alternation with the default-mode network. The constant negative thoughts or ruminations associated with most emotional disorders appear to be due to a hyperactive default-mode network, Langenecker said. “If the part of the brain that helps rein in the default-mode network isn’t as well connected through the SLF, this could explain why people with emotional disorders have such a hard time modulating or gaining control of their negative thoughts,” he said. The findings were published in the journal NeuroImage: Clinical.